It was back in 2014, when the DCEU was still a one-movie universe, that Dwayne Johnson confirmed he’ll be the superhero saga’s Black Adam. But while it’s one thing to say that you’re playing the popular comic book villain, it’s another to get in front of the camera and actually assume the role, and almost five years later, we’re still waiting for that moment to come. It was reported last year that filming on Teth-Adam’s solo movie was scheduled to begin this coming fall, and while it doesn’t look like that’s still the case, Johnson has at least indicated that we might be only a year or so away from seeing production commence. The remark comes from a new video posted by the Hobbs & Shaw star, in which he discusses the ongoing box office success of Shazam!, and what comes next. The actor went on to reaffirm his excitement for the project, before hinting that Adam will be just as mean on screen as he is in the comics. While the new Shazam! movie contains a brief nod to Adam, Johnson and his colleagues originally intended to feature the character as the movie’s main villain. 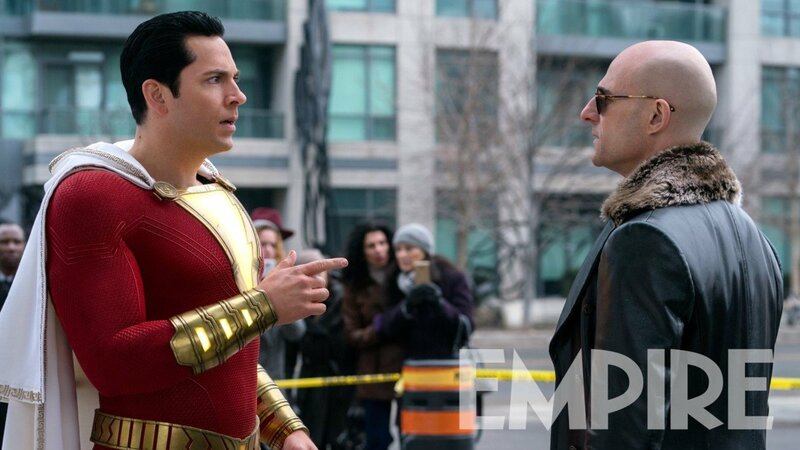 However, the team eventually came to the conclusion that it would be better to give Adam and Billy Batson separate origin films in order to do each character justice. Nonetheless, with Shazam! currently doing sequel-worthy numbers at the box office, it’s surely only a matter of time before the pair cross paths. But first, it sounds like the Black Adam solo flick is still a couple of years away.